Missouri state bills HB1907 and SB918 seek to block existing and future local government restrictions on working animals, including animals in entertainment. 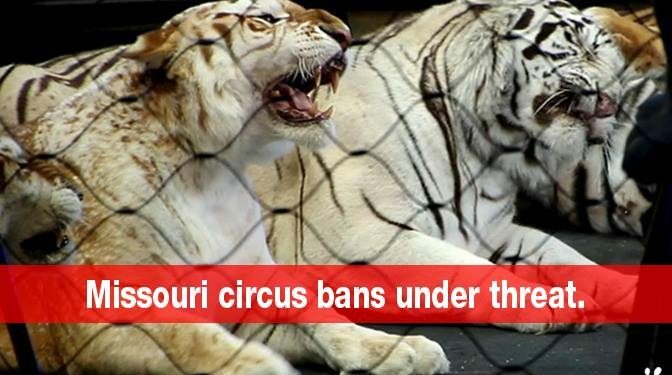 If passed, Richmond’s ban on wild animal circus acts would be overturned and proposals to adopt similar measures across the state would be halted. SB918 has already passed out of committee, with recommendation for the full senate to pass.